The hereby terms and conditions are aimed to establish and regulate the rules of use of the website http://https://www.aslp.org/ (hereinafter, the “Web”). PROYECTO EDUCATIVO LAS PALMAS, S.L.U. Ctra. de Los Hoyos, Km 1.7, Tafira Alta, 35017, Las Palmas de G.C. PROYECTO EDUCATIVO LAS PALMAS, S.L.U. is owner, has the corresponding licence over the rights to exploitation of intellectual and industrial ownership of the website. All the contents of the website, including the graphic designs, source codes, logos, texts, graphics, illustrations, photographs and other elements that appear on the site, unless otherwise provided, are the ownership of PROYECTO EDUCATIVO LAS PALMAS, S.L.U..
At no time shall it be understood that access and surfing by the Consumer implies a renunciation, transmission, licence or total or partial transfer of these rights on behalf of PROYECTO EDUCATIVO LAS PALMAS, S.L.U., or any other right associated with the website and its services. It is also forbidden to modify, copy, re-use, exploit, reproduce, publicly display, make second or subsequent publications, download files, send by post, transmit, use, deal or distribute, in any way all or part of the content and products included in the website for public or commercial purposes, without prior written consent from PROYECTO EDUCATIVO LAS PALMAS, S.L.U. or, if it were the case, from the owner of the corresponding rights. Until this notification, PROYECTO EDUCATIVO LAS PALMAS, S.L.U. is exempt from any liability which may arise from the improper use of identifiers or passwords by an unauthorized third party. PROYECTO EDUCATIVO LAS PALMAS, S.L.U. excludes any liability that may arise from interferences, omissions, interruptions, computer viruses, telephone breakdowns or disconnections in the operation of the electronic system, due to causes beyond the control of the web owner. 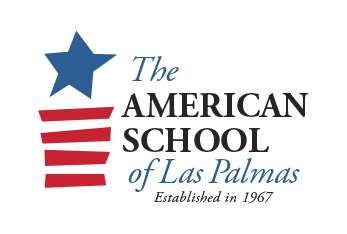 Similarly, PROYECTO EDUCATIVO LAS PALMAS, S.L.U. excludes any liability that may arise from delays or blockages in the operation of this electronic system caused by deficiencies or overloading of the telephone lines or on the Internet, as well as harm caused by third parties through illegitimate interferences beyond the control of PROYECTO EDUCATIVO LAS PALMAS, S.L.U..
PROYECTO EDUCATIVO LAS PALMAS, S.L.U. does not guarantee the legality, reliability, usefulness, truthfulness or accuracy of the information or services which are provided via the Website by third parties. Users are solely liable for breaches they may incur or harm they may cause by misusing the Website, being PROYECTO EDUCATIVO LAS PALMAS, S.L.U., its partners, companies in the group, collaborators, employees and representatives, exempt from any kind of liability that may arise from Users’ actions. PROYECTO EDUCATIVO LAS PALMAS, S.L.U. will make all reasonable efforts and means to provide up-to-date and reliable information on the Website, however, the web owner does not guarantee there will be no errors, or possible inaccuracies and/or omissions in any of the contents accessible through this Website. Users are solely liable for any claim or legal action, in or out of court, filed by third parties against the Web owner based on users’ use of the Website. If appropriate, Users will assume any outgoings, costs and indemnities charged to PROYECTO EDUCATIVO LAS PALMAS, S.L.U. as a result of such claims or legal actions. PROYECTO EDUCATIVO LAS PALMAS, S.L.U. and the User, expressly waiving any other legal right that might apply, will submit to the Courts and Tribunals of the city of Las Palmas de Gran Canaria, Las Palmas (Spain), unless applicable regulations prevents the parties submitting to a specific jutisidction.